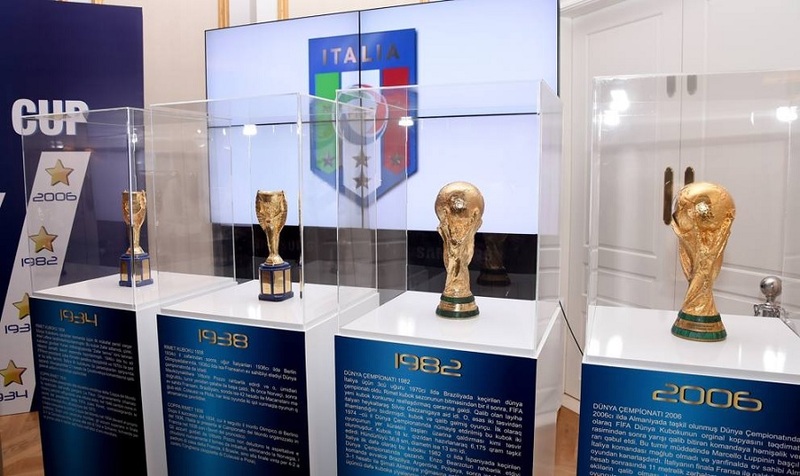 The Italian Embassy in Tirana and the Italian Football Federation are delighted to bring for the first time in Albania the 4 cups won by the the Italian Football League during its glorious sport history. The "4 Times Champions" exhibition, realized in cooperation with the Municipality of Shkodra and with the participation of the Albanian Football Federation, will be held in Shkodra at the Migjeni Theater and will remain open to the public from 12.00 to 19.00 Monday, October 9, 2017. This initiative, envisioned during the Albania-Italy match, valid for European qualifiers at the final stage of the FIFA World Cup 2018, aims to emphasize and evaluate the first official game in the history of the Italian Football National Team in Albania, in the perspective of affirming the positive values of sport as well as further promoting friendship and relations in the field of sport between Italy and Albania.